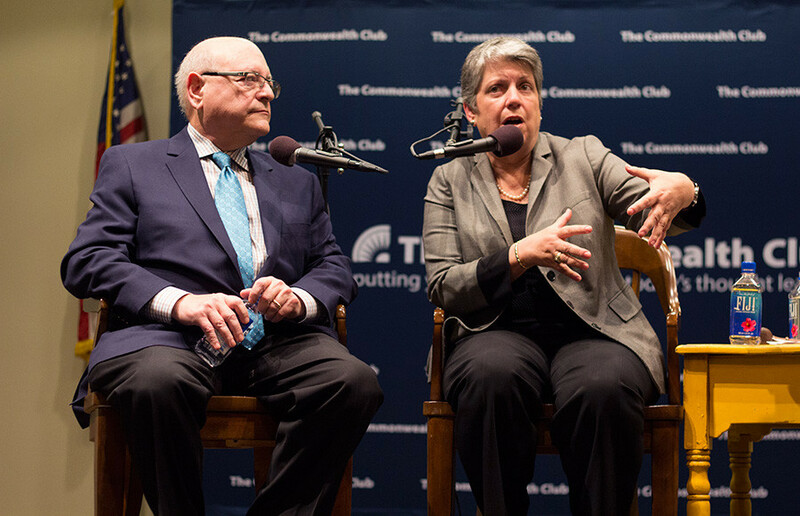 LAFAYETTE, CALIFORNIA — UC President Janet Napolitano and former UC president Mark Yudof exchanged ideas about the future of higher education at an event organized by the Commonwealth Club of California on Thursday. In the event, held at Lafayette Library, the past and present UC presidents discussed several topics, including Napolitano’s relationship with Gov. 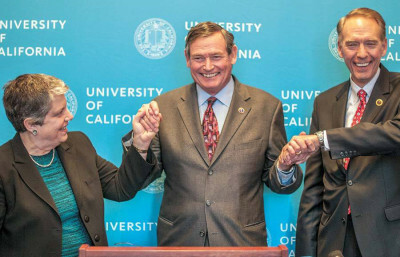 Jerry Brown, Obama’s community college agenda and the UC system’s investment responsibilities. Napolitano said that after having served as Arizona’s governor, she understands that governors feel pressured to juggle many different expenses. In his 2015 State of the Union address, President Barack Obama revealed a plan to provide tuition-free community college education to students who meet specific requirements. Yudof said at the event that in principle, Obama’s plan was fine, but that there are many existing problems in the system to address, such as community college graduation rates. “Before we invest a lot of money, I’d like to see more accountability in that system,” Yudof said. 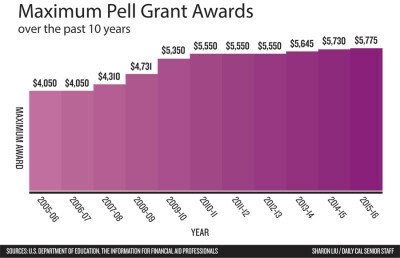 Napolitano said, however, that not all community college students plan to finish a four-year degree and that creating four-year degrees is a time-consuming and expensive process that should be thoroughly considered. Dean of the Goldman School of Public Policy Henry Brady said he supports the sentiment of Obama’s plan, but because community colleges vary so much in quality, he does not think funneling a larger number of people through the community college system is the most effective way to increase access. Napolitano and Yudof also discussed the United Nations Principles for Responsible Investment, a worldwide investor network dedicated to helping its members invest sustainably, which the university signed onto last year. The signing was part of a recommendation by a regents task force on sustainable investing that discouraged divestment. At January’s regents meeting, a policy that would have linked UC coaches’ bonuses to their athletes’ academic performances was tabled — according to Napolitano, for being “too blunt an instrument” for the complexity of the issue. Topics such as diversity on campuses and hate crimes at UC Davis were also discussed at the event. Suhauna Hussain covers higher education. Contact her at [email protected] and follow her on Twitter @suhaunah.